I enjoy allowing a painting to be created organically by pouring translucent layers of paint until a concept emerges. I try to remove my logical mind during the creative process so that I’m not forcing or interfering what’s occurring. The imagery that comes forth is a product of the paint’s arrangement on the canvas and my imagination. Ongoing themes in this body of work tend to explore the ideas of connection, presence, and the ethereal world. An infatuation with color, line, and fluidity can be seen in nearly all that I create. I am also drawn to recreating faces and telling their stories. On another note, creating is all about being playful and having fun! This has definitely been the driving force of our LeViv Creations line of work. In this collection, I’ve been collaborating with my kids to create a playful body of work with subject matter often chosen by them…which has resulted in quite a lot of animals. It’s been fun to pair my love of line and color with a spontaneous child-like vibe. Drawing loose, continuous line drawings from observation is among one of my favorite pastimes! Darcy Lee Saxton has been creating art as long as she can remember. Living a creative life is a priority for her, so she likes to follow where ideas and inspiration lead her. 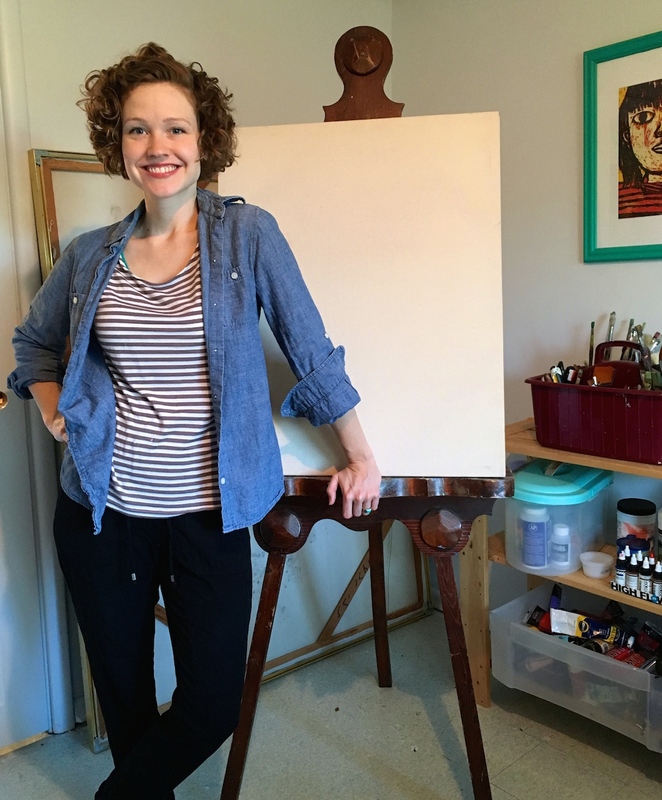 With a background in teaching art, she loves to inspire and teach through sharing her story and passion for creating. the Artwork of Darcy Lee Saxton © 2019. All Rights Reserved.